Keeps Your Boat Looking Ship Shape? Marine Wash (previously Marine, Mold, Mildew & Algae Wash) uses our hydrogen peroxide technology as its active cleaning agent. When mixed with various “green” detergents, alkalis and wetting agents, it provides a very non toxic cleaning agent safe for oceans, lakes, rivers and all aquatic life. 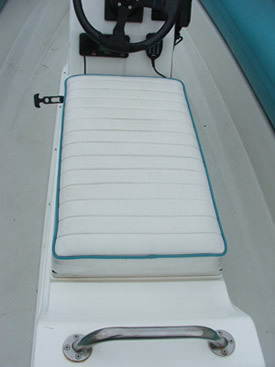 We made it very low foaming and it has a pleasant citrus scent, thus when cleaning it does not raise any flags due to excess amounts of foam or chemical odors surrounding the boat which is always a major concern for marinas and yacht clubs. 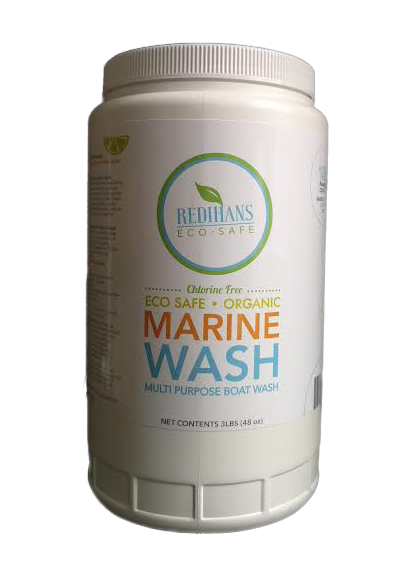 Space is always a concern on a boat and that’s why we made this product in a super concentrated powder with each 3lb bottle making 10 gallons of cleaner. Buying our boat cleaner in powder form, rather than a boat cleaner in liquid form, has a couple of key advantages. The first is no expiration date as powder does not expire. The second advantage is that when the powder is mixed with water you are getting a cleaning product at 100% full strength. When you buy any cleaning product that is mixed in liquid form, it contains anywhere from 70-98% water and every single day that the product sits, it weakens until it is useless or expires. Watch as Neil from Blue Water Adventures, British Columbia uses Wash Safe Canada's Marine Mold, Mildew and Algae Wash to bring a J/24 sailboat back to pristine condition. Our Marine Mold and Algae Wash works great on vinyl cushions (not for use on real leather or suede) and carpet and is completely non-staining. 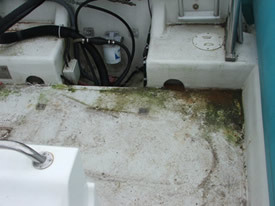 Below the waterline, boat algae easily releases when sprayed down with the Marine Mold and Algae Wash making uncoated boat bottom cleaning a breeze. Mixing directions are simple, just a ½ cup of Marine Mold and Algae Wash to 1 gallon of water (warm when possible), stir periodically for 10 minutes prior to use to fully activate the solution. 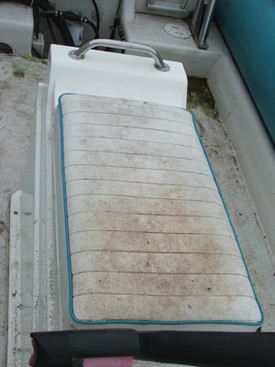 Using a bucket and scrub brush, mop or sponge the Boat Wash on, wipe with a dry towel or hose off. 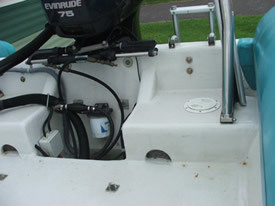 For cleaning boat bottoms with algae growth mix product stronger 2 or 3 times as strong, spray thick coat on with a “garden style” pump sprayer, let sit for at least an hour and pressure wash off (if you have the time let the product stay on for a few days or a week, it will completely dry up and wash off easily).